ii) A brief statement of resignation coupled with any standard and positive reason of resignation. iii) Mentioning of notice period with the requested date of release. iv) A note of gratitude to the employer and the colleagues. v) Proper name, signature and designation of the employee. Thus, a simple resignation letter with polite and assertive language can initiate the process of a graceful exit. In many cases, the company needs the help of the incumbent in filling the vacancy created by the most suitable human resource. So, a simple resignation letter format should also include an assurance from the employee in cooperating with the transition process. 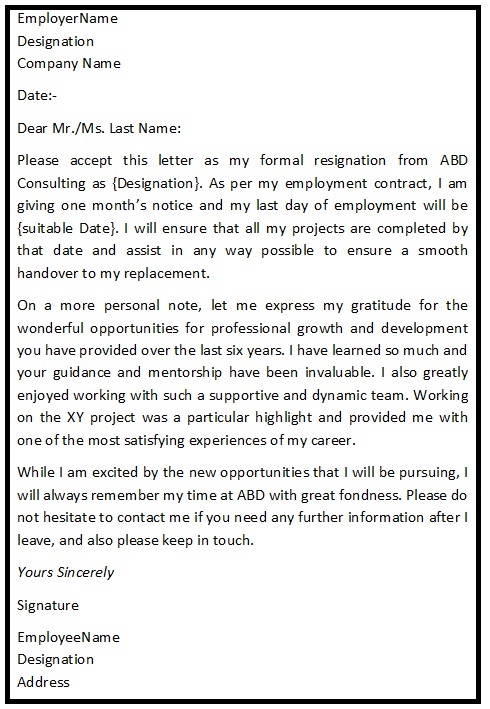 The above simple resignation letter format can be customized as per the needs of the employee. Professional standards of letter writing should be maintained while writing the resignation letter. They should be free from any negative statements and emotional outbursts. 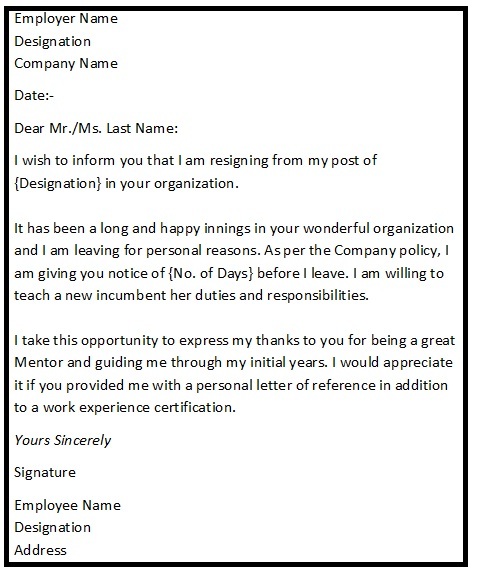 A simple resignation letter is only a brief account of resignation from a company.